Are you interested in increasing your understanding of transgender issues, changing your use of gendered language, and thinking about how to implement policies of inclusion? 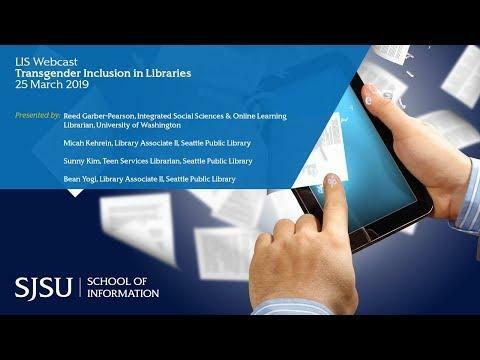 This webcast will share a basic understanding of the rich variety of gender identities and experiences, best practices for working with transgender patrons and communities, and tips on where to begin thinking about the impact of library policies on queer and transgender people. Participants will be introduced to trans-inclusive language and basic concepts of gender and sexuality, improved services for transgender patrons, and the opportunity to move beyond basic respect and inclusion to affirmation and representation. This session is appropriate for individuals interested in all types of librarianship and will give practical tips, tools and takeaways to improve interactions and services for transgender patrons and co-workers. Guest speakers are Bean Yogi, Micah Kehrein, Reed Garber-Pearson, and Sunny Kim. Diversity, multi-culturalism, critical race theory, aversive racism, and micro-aggressions are all buzz words that we hear about and note the rolling eyes when mentioned. Aren’t we past the need to consider these issues, “We have a Black president” or are we “post racial?” If so, why are we still having issues of diversity? These are the common refrains you hear inside and outside of academia. 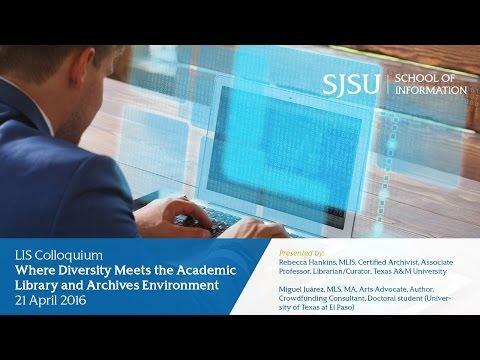 The library and archives environment are no exception to displaying “diversity fatigue.” This colloquium will discuss some of the concerns and reasons why diversity is not a settled issue and needs to be front and center in the library and archival professions.